Last week, Rabbi Ariel Sadwin was the guest lecturer to the High School Politics Club at the Berman Hebrew Academy in Silver Spring, MD. The Politics Club is a group of 20 high school students who have keen interest in government and politics. They have met regularly throughout the school year with local elected officials and candidates pursuing elected office. Seeking the perspective from the “other side” of the issues, they invited Rabbi Sadwin, the community’s representative to the government on many matters of communal importance. The conversation ranged from Israel security issues to local day school funding. 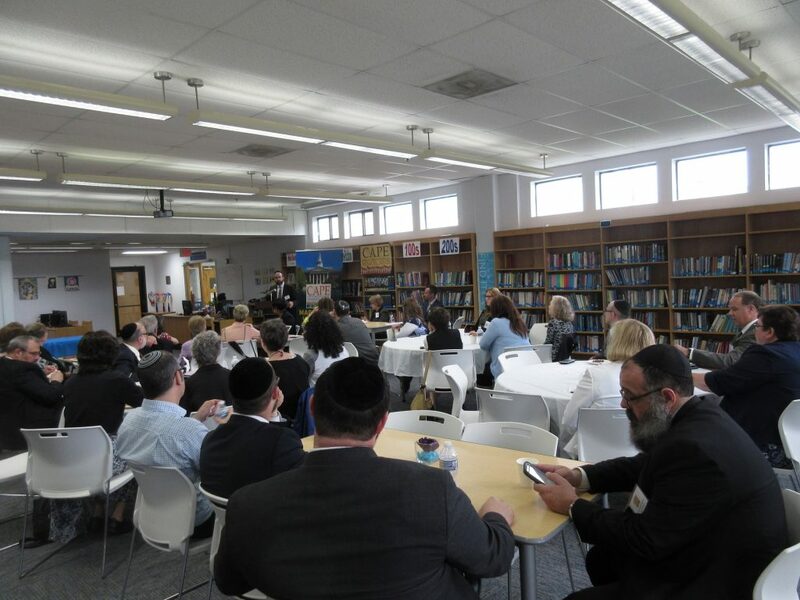 The bi-partisan group of students each shared their perspectives and concerns on the current political climate in neighboring Washington, D.C., while Rabbi Sadwin gave his non-partisan views on how things relate to the local and global Jewish community. 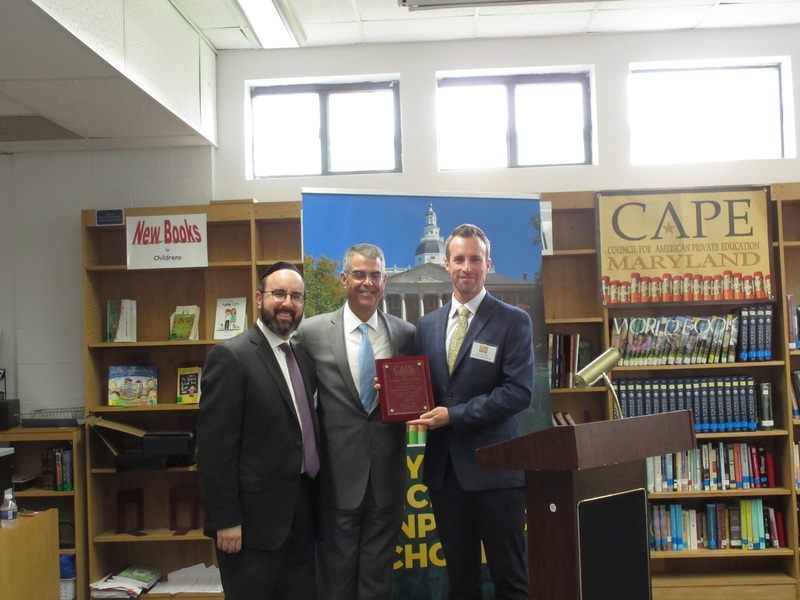 On Wednesday, the Berman Hebrew Academy was the host site for the 2018 Maryland CAPE Spring Breakfast. 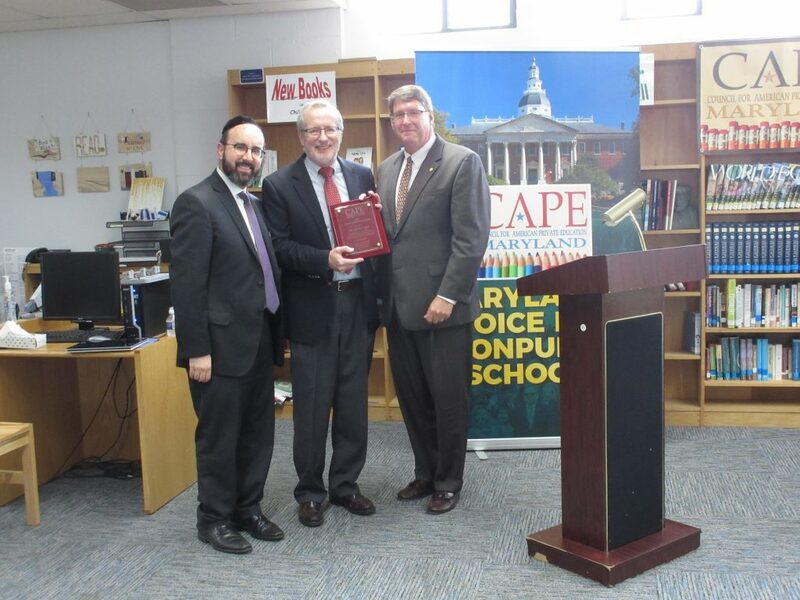 MD CAPE, the state’s nonpublic school coalition, which is led by Rabbi Sadwin, brought together leaders and representatives from all of Maryland’s faith-based and independent school groups for this event. 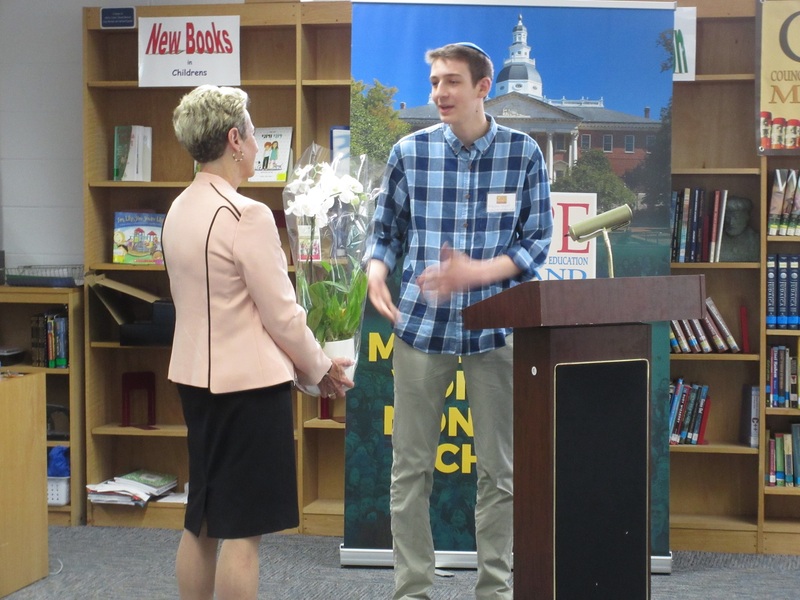 The featured guest and keynote speaker was Maryland’s State Superintendent of Schools, Dr. Karen Salmon. 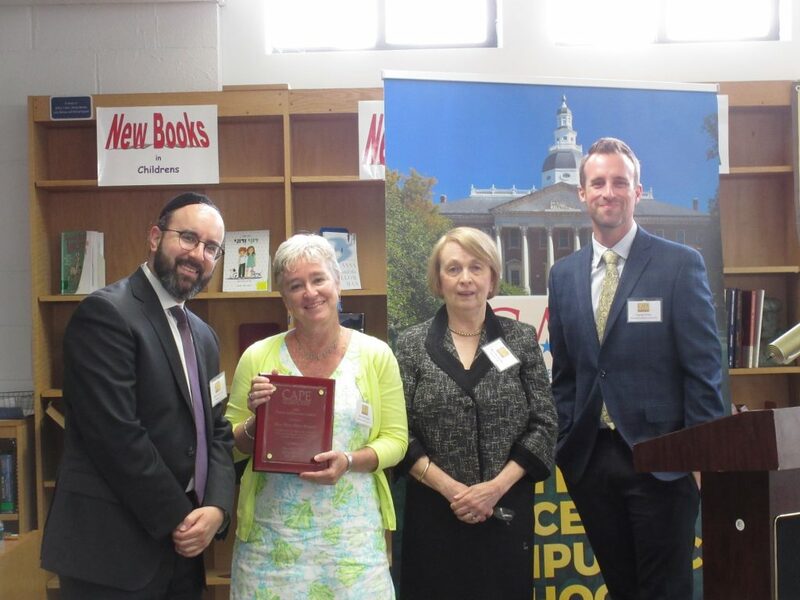 Awards presented at the event went to State Senator Andy Serafini (Champion of Education award); Mr. Joe McTighe, the retiring executive director of National CAPE (Career Achievement award); and Mrs. Mary Ellen Russell, the retiring executive director of the MD Catholic Conference (Career Achievement award). Ahead of the breakfast, Dr. Salmon made a special visit to the Sulam School to meet administrators and students. The Sulam School, housed in the Berman Hebrew Academy building, is an inclusive special education school working with students with a wide variety of learning challenges. With the recent expansion of the BOOST Scholarship Program set to include increased funding for scholarships for students with special education needs, Rabbi Sadwin wanted to give Dr. Salmon, herself a career special educator, a taste of what that looked like in a Jewish day school environment.